I only wish this hack of BT had had Christmas music added to it. In my mind there will only ever be one Xmas game that you need . . . . . . .
Sega also put a Christmas theme into Sonic Adventure on the Dreamcast. On Christmas day, or if you changed the date on the system to Dec.25th, you would get a tree and decorations in the one area. Loved the little touches Sega put into their games. That is a nice touch indeed! Very cool! Brilliant stuff, i have never been one for christmas games.. prefer the real thing lol..
Hey, it is part of the real thing! Christmas Nights really is the business.....the music is spectacular. Yes - of course - it's just a redux of Jingle Bells but it is so well done and for some reason reminds me of Christmas as a child. 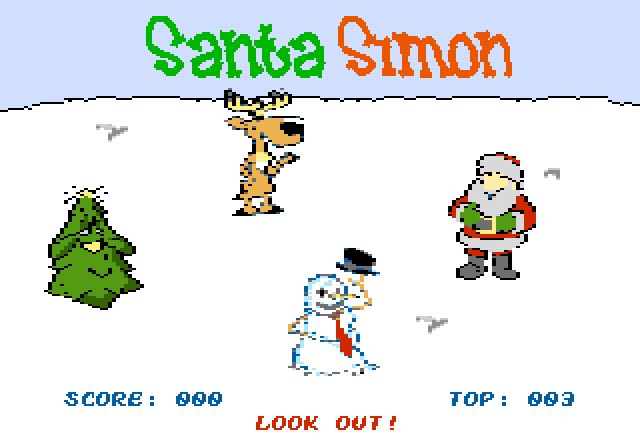 It's not terribly retro - not for a console anyway - but I've made three Christmas games (for PC & Mac)...but I thought I'd mention it anyway. I have to say that this looks like a really cool game, I will need to try it out on emulation some time! OK, now you've done it! I now want to get this game that is very rare!!! OK, now you've done it! I now want to get this game that is very rare!!! :21: too pricey! I agree, this looks great and I want it!